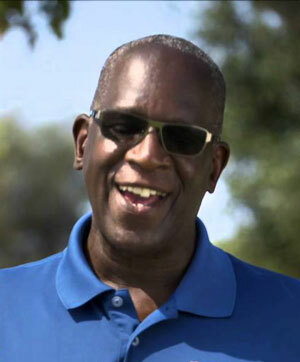 Willie Buchanon was born in Oceanside the city where he resides presently. He went on to have a prolific career in the NFL then back and re-planted in Oceanside when his children were old enough to go to school. He built a real estate business, Buchanon and Associates. Wille Buchanon was a Junior College All-American at Mira Costa College 1969 and San Diego Padre’s first pick in 1969. Voted the Most Valuable Player in the East-West Shrine Game of 1971, Willie Buchanon was a Green Bay first-round draft pick in ‘72 and the ‘72 NFC Rookie of the Year and a three times All-Pro. In 1978, the Packers defensive back led the NFC with 9 interceptions, including 4 in one September bout with the San Diego Chargers that tied him for the still-standing NFL record for most interceptions in a game. Willie spent his last four pro years with the San Diego Chargers and tied the NFL all-time record for most recoveries in a game in 1981. Sporting News named the San Diego State All-American to its All-Time collegiate team. He was also named to the Green Bay Packers All-Time team, Green Bay Packers Hall of Fame, San Diego State Hall of Fame, San Diego Hall of Champions, California State Junior College Hall of Fame and Oceanside High School Hall of Fame. Willie is the founder of The Buchanon Youth Foundation dedicated to serving the youth of America and a community activist serving on many boards and committees in California and Wisconsin. Buchanon and his wife, Gwen, have two children: a daughter, Jenae, and a son, Will. His son was a member of the 2003 and 2004 national championship teams with the University of Southern California Trojans, and later played in the NFL. Willie Buchanon lives in his hometown of Oceanside.